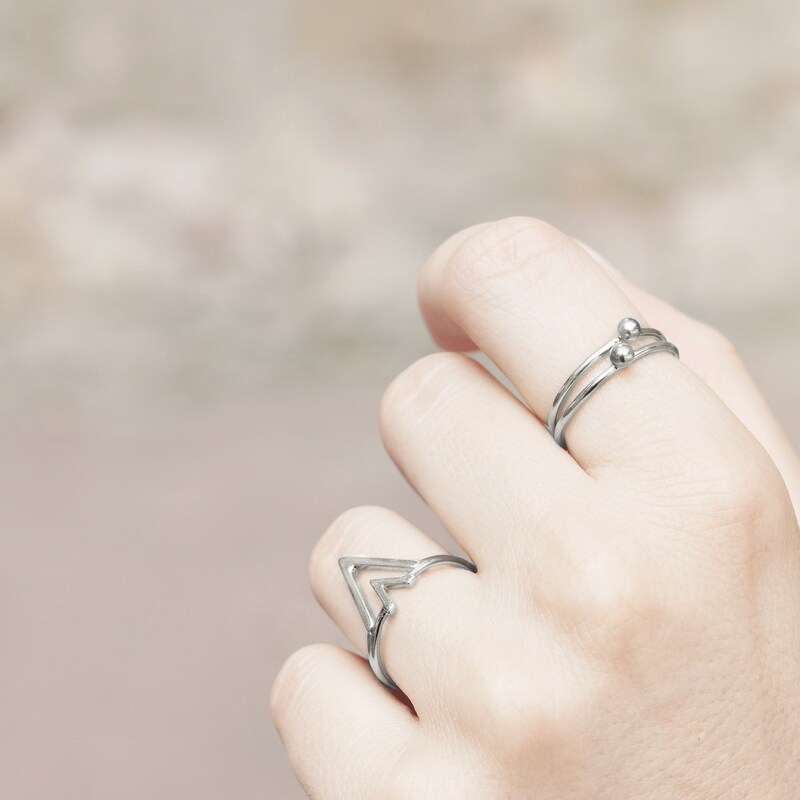 Let the timeless aura of the V ring take you away. 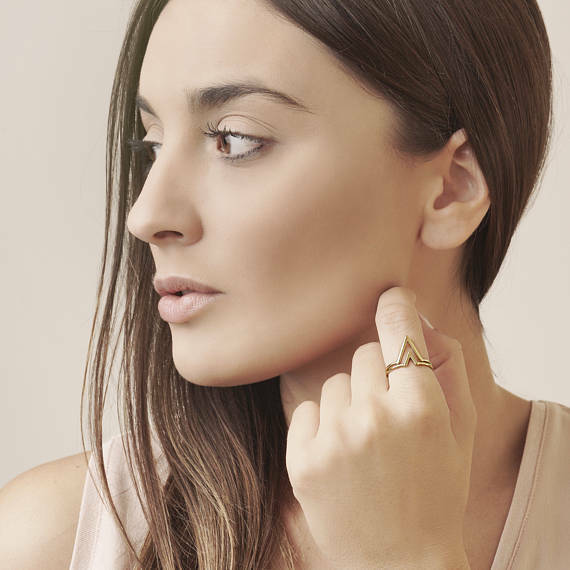 This V shape ring suggests an open triangle which symbolizes feminine power and strength. 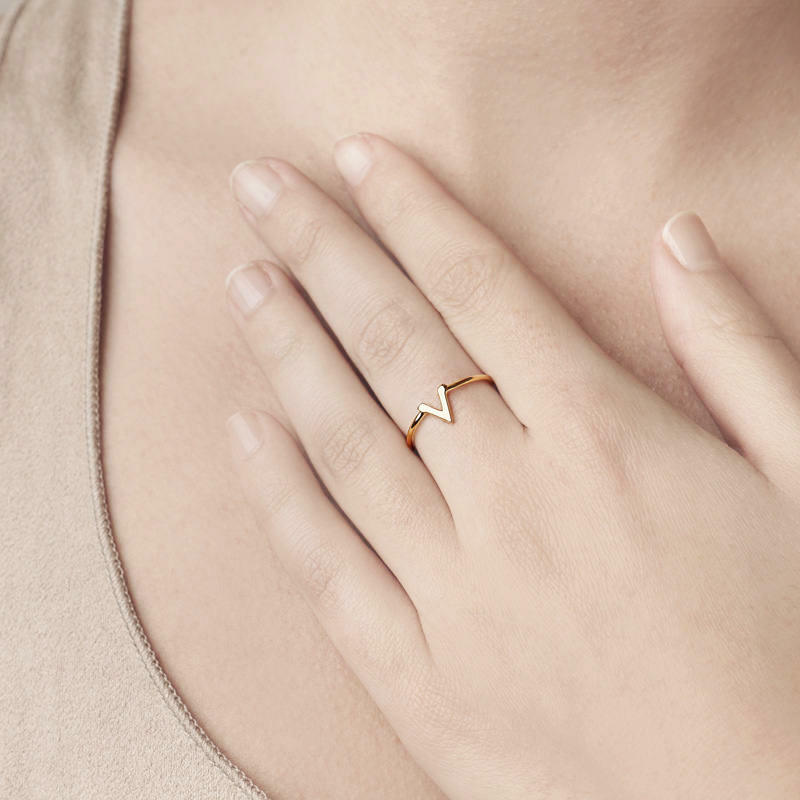 A dainty ring which is a must-have in your jewelry box. 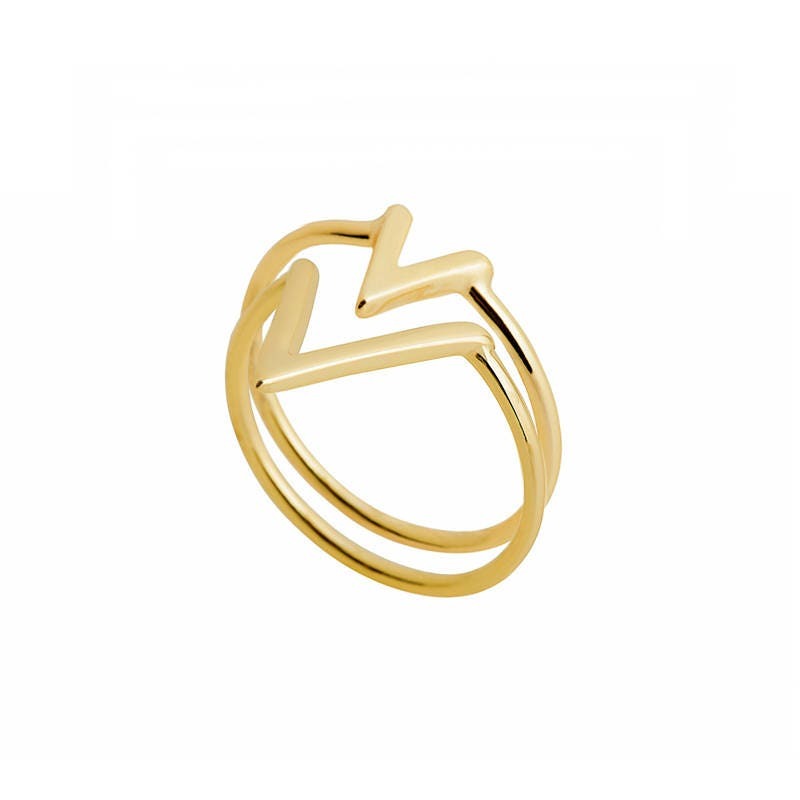 This minimalist gold ring symbolizes feminine power, strength and victory. 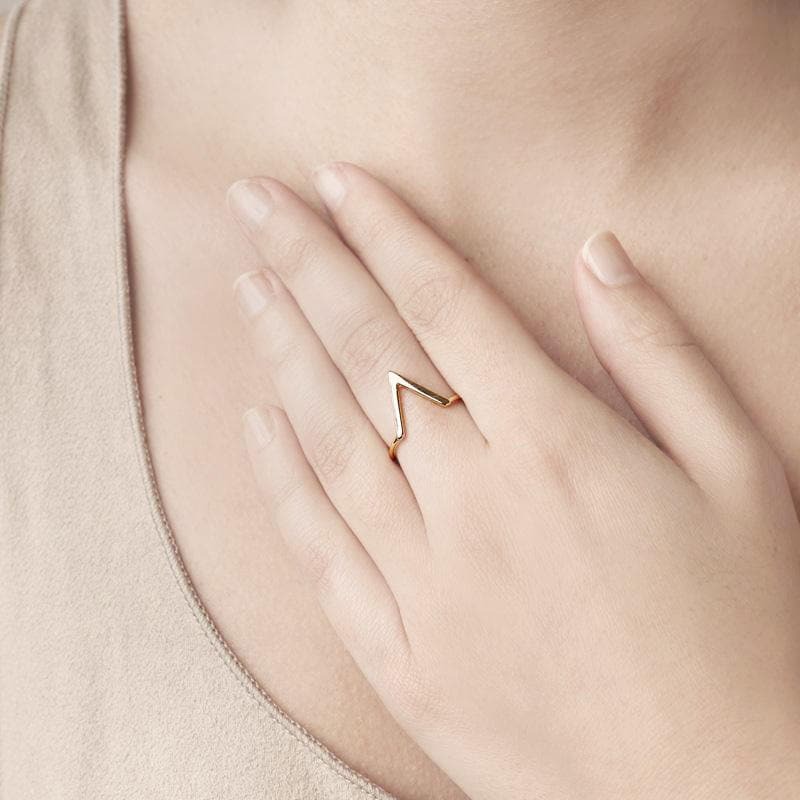 It is a ring for women with an open triangle shape. 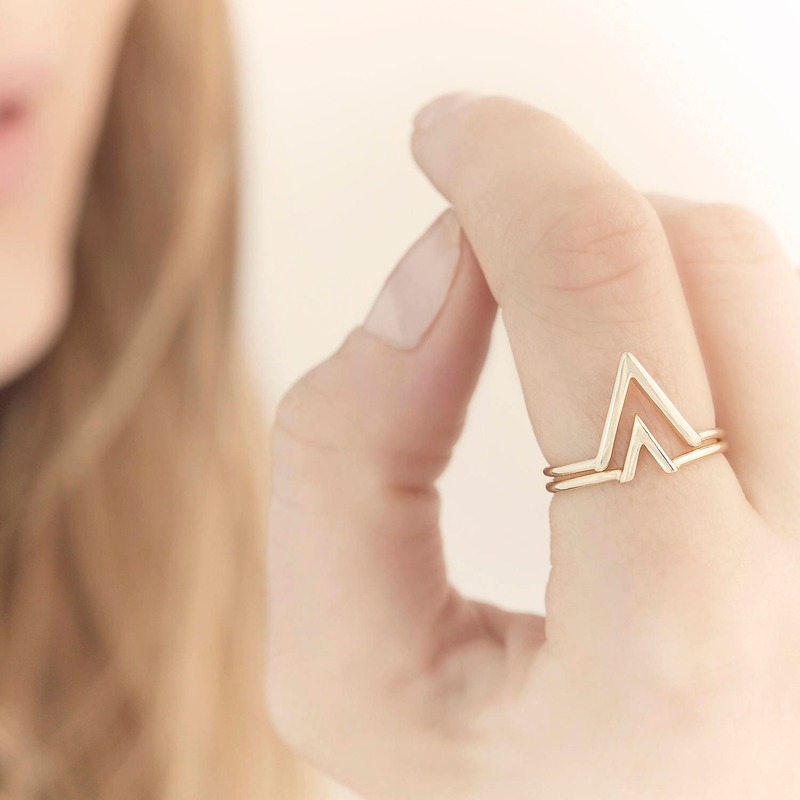 In ADDICTED TO JEWEL we fuse art and fashion to create a new trend in jewelry rings for women. Bought this as a christmas gift and they loved it! Thank you so much. Beautiful color and shape! 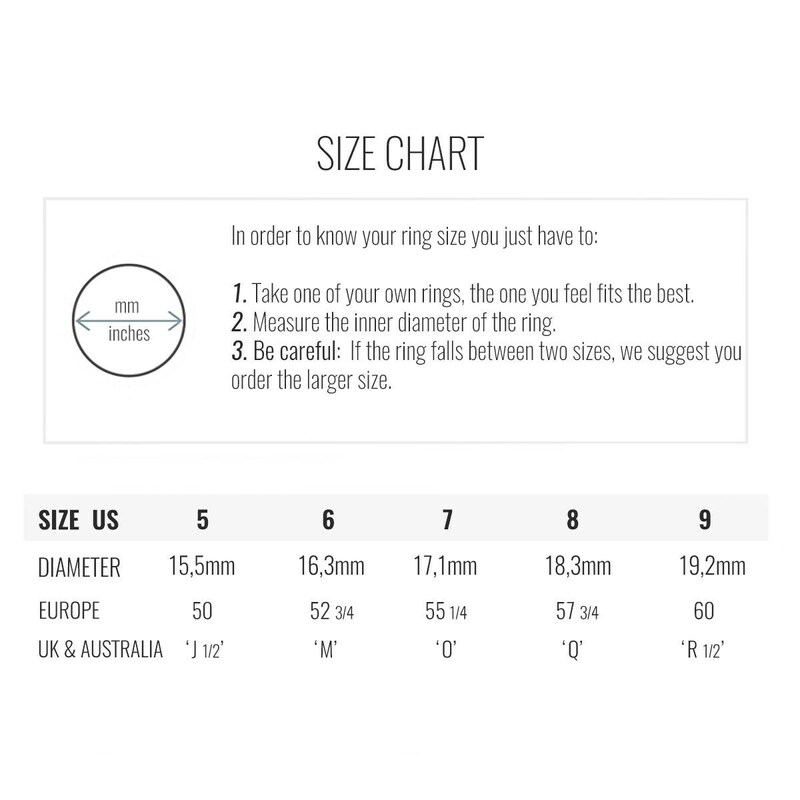 The rings do tend to get caught on fabric, but it doesn't bother me. 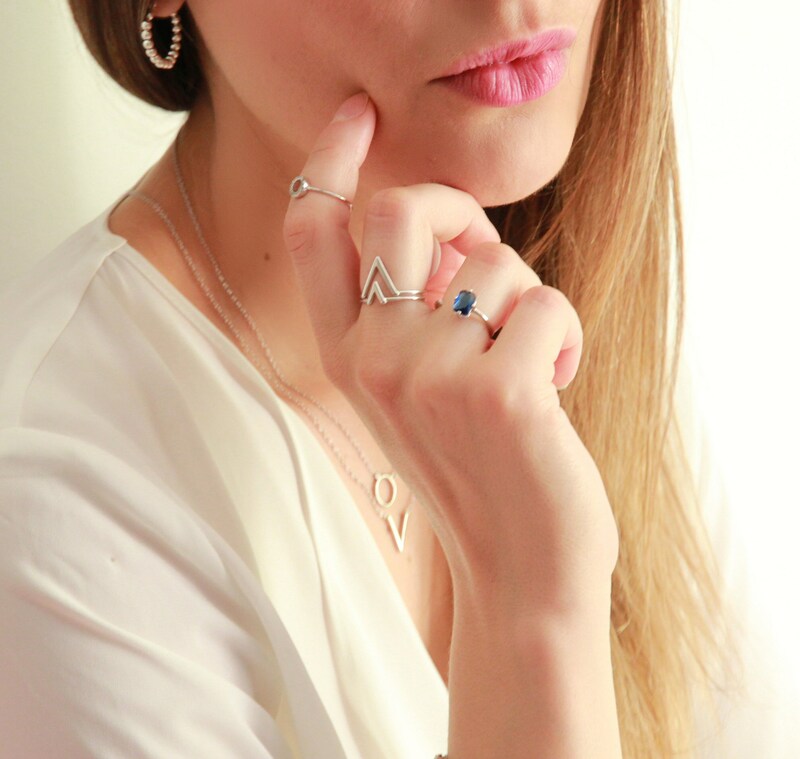 I love to layer them and also wear them separately.